Bring a casual, cozy seating option to your dining space with the Maldives Dining Bench. Woodwork is crafted with a warm brown finish that emanates rich tones. 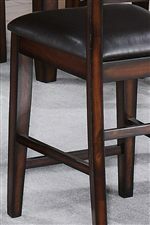 A faux leather upholstered seat offers comfort and a pretty complement to the woodwork with dark brown tones. The bench is lifted on square tapered legs with support stretchers, and the spacious rectangular seat offers plentiful seating room as an alternative to chairs. Pairs perfectly with the Maldives Dining Table. 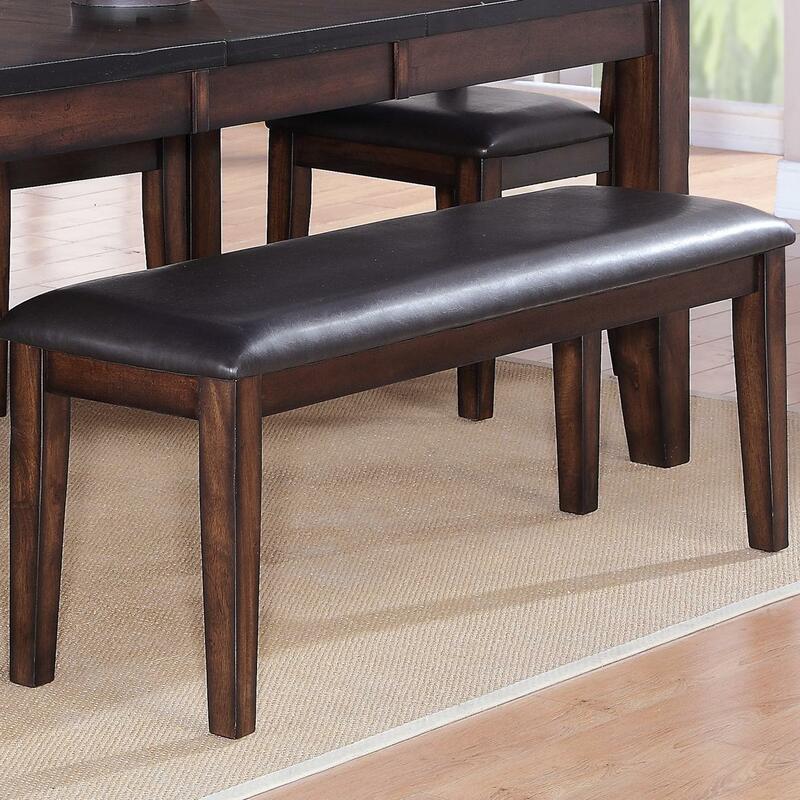 The Maldives Rectangular Dining Bench with Faux Leather Cushion Seat by Crown Mark at Miskelly Furniture in the Jackson, Pearl, Madison, Ridgeland, Flowood Mississippi area. Product availability may vary. Contact us for the most current availability on this product.